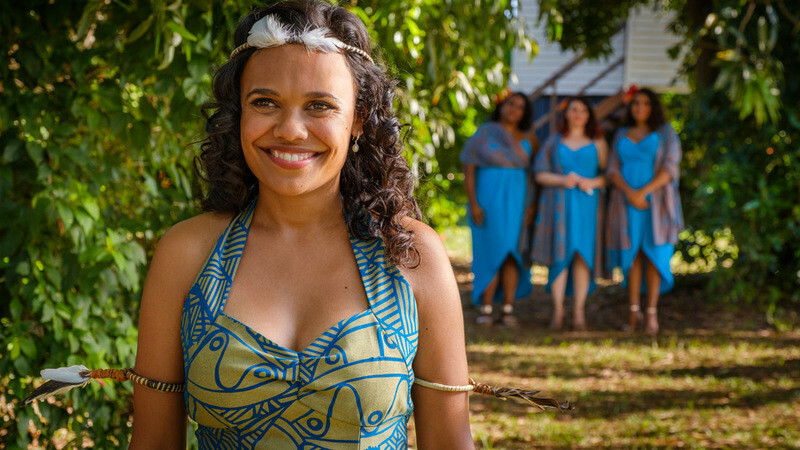 The first hour of “Top End Wedding” can be downright annoying in its simplicity and bad screenwriting, reminding me more of the kind of multiplex rom-coms that currently star people like Jennifer Lopez. Then it hit me. Most of this movie is just prologue to what really matters to Blair and Tapsell and that’s the arrival in a part of the world we haven’t really seen in a Sundance film before. There’s a genuine respect for the people of the Tiwi Islands that’s effective and even moving, and “Top End Wedding” really becomes a different film altogether when Lauren gets there—although even then Blair can’t avoid an airport revelation and other cheesy rom-com clichés. The Sundance description for “Top End Wedding” ends with “...making you wonder why you’ve stayed away for so long.” I too wondered why this movie stayed away from what works about it for as long as it does.